Every year during Design Miami, the international fair for collectible design, the House of Perrier-Jouët is delighted to continue its partnership with the world of creation and design. 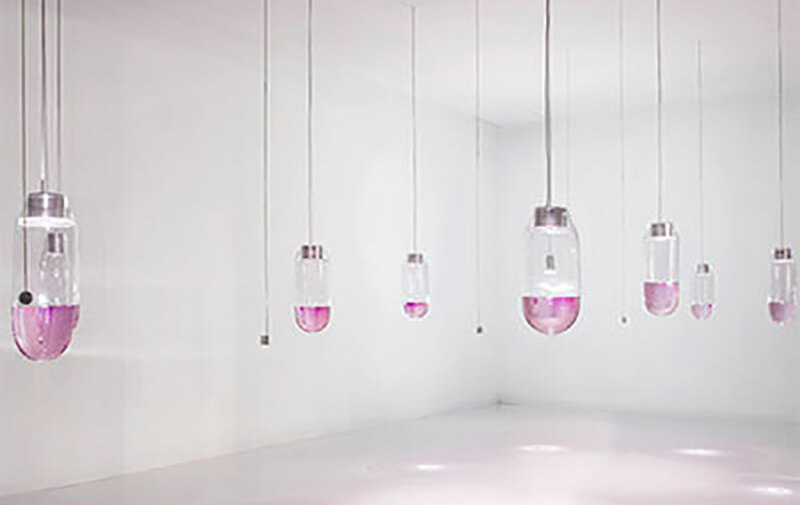 Design Miami takes place December 2-6th in Miami Beach. 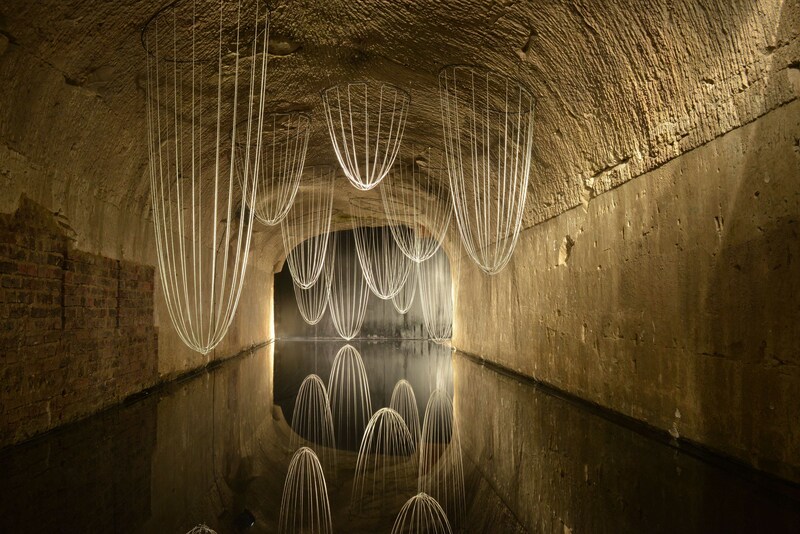 For the 2015 event, the House will unveil two unprecedented works by the maker with whom it has initiated a new creative collaboration: Ritsue Mishima. A huge installation along with an original piece will mark the beginning of a creative partnership that will continue until the end of 2016. 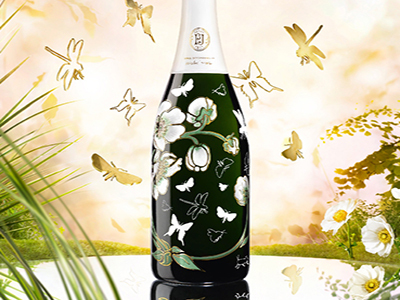 The collaboration with Ritsue Mishima was a natural choice for Perrier-Jouët, entirely in line with its history: it echoes the House’s close bond with nature, the active dialogue it has always maintained with art and design, especially Art Nouveau, and the desire to bring beauty to everyday life. Ritsue Mishima has adopted glass to express a vision of nature in which harmony is born of the reflections of light over an infinite variety of shapes. 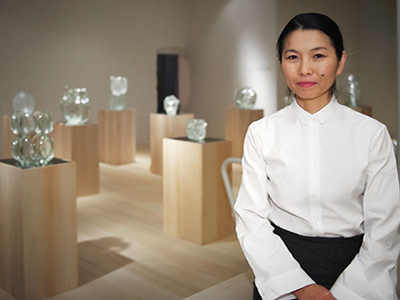 Accordingly, with a century between them, the Japanese artist is following in the footsteps of master glassmaker and designer of the original Belle Epoque cuvée, Émile Gallé, continuing this celebration of nature and its wonders and highlighting Perrier-Jouët’s deep ties to the Art Nouveau movement. Perrier-Jouët’s collaboration with Ritsue Mishima continues a tradition of collaboration at Design Miami. 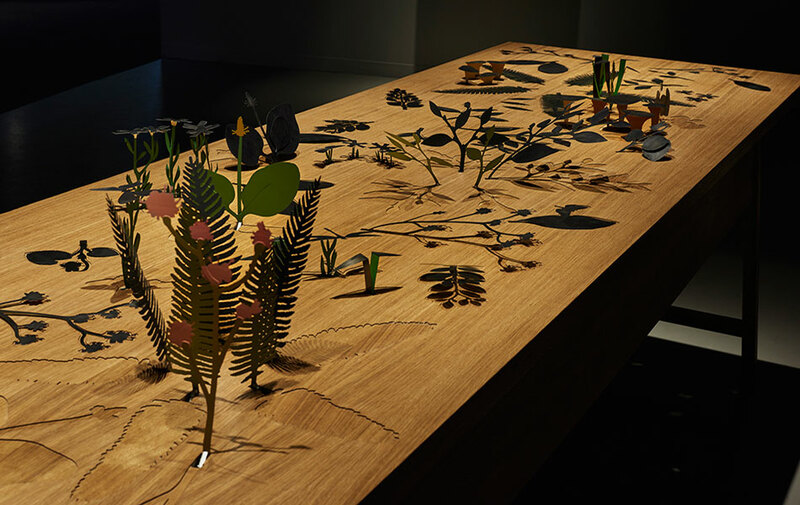 In 2014 the champagne house worked with Studio mischer’traxler in the exhibit Small Discoveries which explored the magical conversation between Mankind and Nature. 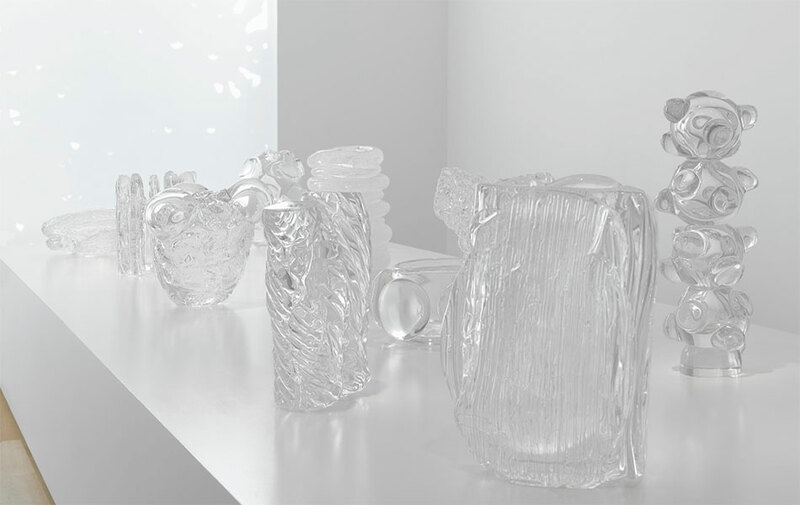 This year Studio mischer’traxler created two limited editions for the house– a bottle adorned with mysterious butterflies to celebrate the 2007 Vintage Belle Epoque Cuvée and a white lacquered pencil case slide top gift box to cradle a bottle of the Cuvée Grand Brut. Both items will be available this holiday season. For 2013 Design Miami, Perrier-Jouët collaborated with London-based Dutch designer Simon Heijdens to create an immersive experience. Titled Phare No. 1–9 this ‘lightwork’ merged the conceptual and the tangible to propel Art Nouveau, the favored artistic movement of Perrier-Jouët, into the 21st Century. Studio Glithero’s Lost Time at Design Miami/ in 2012, a commission by Perrier-Jouët, Lost Time mirrors the champagne house’s Art Nouveau heritage, and was inspired by Emile Gallé’s iconic design for the house’s Cuvée Belle Epoque champagne.